NEW THIS YEAR: Teams will be accepted on a first come first serve basis. Payment in FULL is required during online registration in order to be accepted. Once registration is full, you may still register online to be placed on the Waitlist should space become available. Beginning Monday, July 16th, 2018, Lake Morey Resort (LMR) will be contacting the team contact that is supplied during team registration. LMR associates will contact teams in the order in which they are registered for the event and provide the team contact information on how your families can book rooms at LMR. At this time, rooms will be held under your team name and families will be given 1 week to call LMR to place a deposit. If any families from your team do not call within this timeframe, the remaining rooms held in your team name will be released to other registered teams. If a family calls after your team’s booking window has passed, they will be added to the waitlist at LMR and will be notified if there are any cancellations closer to the event. LMR will continue to call teams in the order they are registered until the hotel is sold out. Please do NOT call Lake Morey Resort to book a room unless you have been told to do so by your team contact. This process has been implemented to minimize the number of phone calls received at one time for LMR and may take up to a month to complete the process. You will receive an immediate confirmation that the registration has been submitted. Each team will need to be registered with a different team contact to assist in the scheduling and registration process. 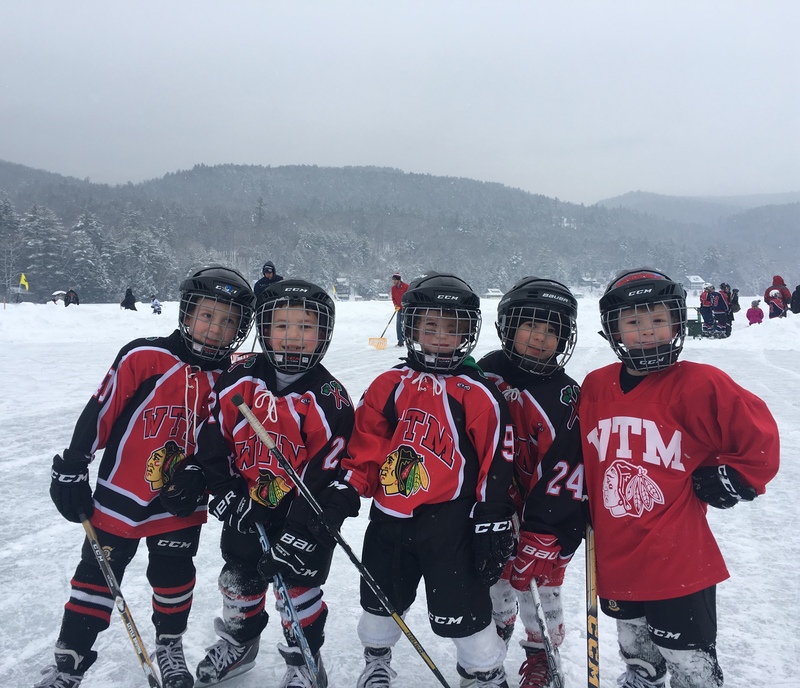 For example if your team needs to be split into two pond hockey teams, the teams could be registered as WTM U10 (Jones) and WTM U10 (Smith). The team contact given at registration is the contact LMR will use to assits with hotel reservation and who the NEYPHJ committee will be communicating with throughout the event. If you have any questions about this process, please email neyphj@gmail.com. Once your registration has been processed, you will receive an email confirmation indicating if your registration has been accepted or your team has been placed on the wait list. Beginning July 16th, 2018, Lake Morey Resort will call team contact in the order they were registered to book rooms at LMR. We will update our website once the event has been sold out as well as when rooms at LMR have been sold out. At this point if you do not have a room at LMR, you can review our additional lodging options below. This process may take up to a month so please do NOT call LMR unless you have been told to do so by your team contact. By submitting a registration, you agree to this refund policy. This is an outdoor event and registering for this event implies the understanding that weather can impact the event in unforeseen ways. The NEYPHJ committee reserves the right to cancel the event due to weather concerns or any other reason up until February 3, 2019. If the committee cancels the event on or before February 3rd, all registered teams will receive a 90% refund of the registration fee, not including any applicable late fee paid. If the event is cancelled after February 3rd or shortened due to a weather event, then NO REFUNDS will be granted. The NEYPHJ committee is not responsible for hotel refunds under any of these circumstances; those conditions are between the hotel and the guest. All communication between the NEYPHJ and participating teams will be made with the team contact listed on the registration form. All participants are encouraged to follow us on Facebook, Twitter and Instagram.